Despite the tightening international economic climate a Melbourne manufacturing firm continues to capture export markets and is ramping up for another solid year of production. The well-established precision gauge manufacturer, S.G Prittie, recently teamed up with local Engineering Machine Tool Supplier, Realtek, to provide a complex medical solution for an international client. 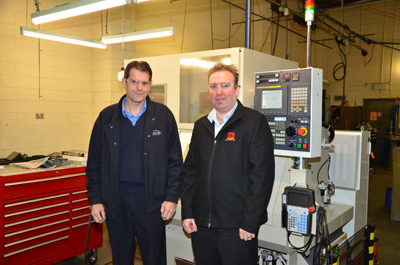 S.G Prittie in Melbourne’s Airport West had a problem; they needed a Precision machine that could bore components to 0.005 micron, with a surface finish of 0.4 RA. “The team at Realtek worked on a solution for 12 months,” says Realtek’s, Bernie Power. As head of sales it was Bernie’s job to scour the globe for a niche solution that would provide the kind of exacting engineering solution required. “We turned to Miyano in Japan as they can deliver machinery for these types of projects very well, but It was tough to find the type of engineering fix the company needed that would be reliable at such a precise level 24 hours a day seven days a week”. The Realtek team had to throw out the standard trouble shooting manual and start again. “After 12 months of extensive research we had re-engineered a solution and it’s great to go over there and see the Miyano machine in action doing the job for the company, at the end of the day it’s been a very satisfying experience for us and S.G Prittie”, says Bernie. The machine bores medical components, which are then exported all over the world. 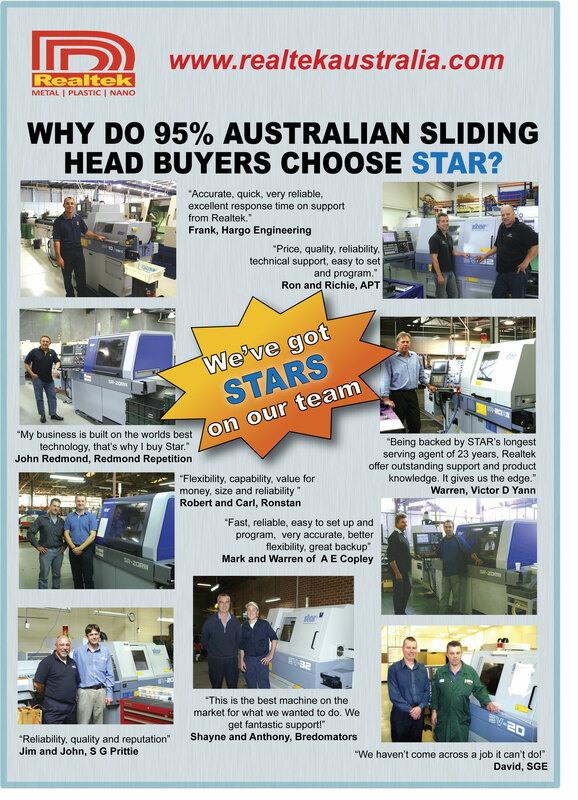 “They are quite specific components that come from the Miyano machine,” says S.G Prittie Engineering Manager, John Bailey. “The Miyano is amazing and can work 24 hours a day and we are hoping to get it to a point where it’s in full production very soon,” says John “When it’s in full swing this machine will allow us to stay competitive in this specific area, it’s very hard to match China and India, you certainly can’t do it on labor you have to do it on ingenuity and intellectual know how and that’s something we are currently doing very well in Australia and at S.G Prittie, but you have to continue to be creative to stay one step ahead, there’s no resting on your laurels”. If the company continues to win export contracts then there are plans to introduce more machines which it’s hoped will run 24 hours a day seven days a week producing all types of components for global distribution. “We have a proud history here and we have survived some tough times so it would be nice to see our business thrive by continuing to embrace innovation and to partner with industry leaders such as Realtek and Miyano. Three of the four directors started with the company as apprentices more than 20 years ago, having risen from the shop floor to the board room, they know the business from the ground up and in a time of increasing international competitiveness have been able to remain at the forefront of their industry by implementing first world best practices. S.G Prittie exports to markets all over the world in the fields of medical, manufacturing, science and technology and mining.